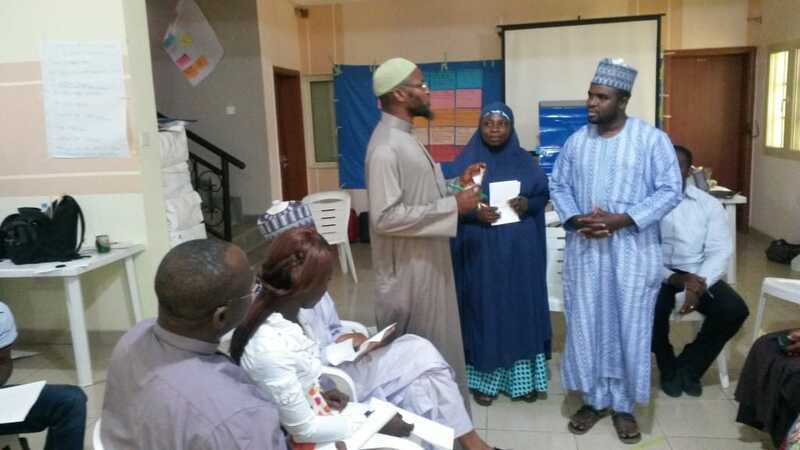 InterFaith Activity and Partnership for Peace, IFAPP, Perspectivity partner in Nigeria, has advocated strongly against the recent Boko Haram attacks on innocent civilians on a bus station and against school girls being abducted. Mallam Nuruddeen Lemu & Rev. Fr. George Ehusani – Conveners of IFAPP – strongly appeal in their press statement and newspaper articles to the government to take up responsibility for security for their citizens. IFAPP trainers continue to organise workshops on interfaith dialogue and conflict e.g. in the conflict ridden area Jos in mid-May. In February the IFAPP trainers delivered the dialogue skills training of Perspectivity to new trainers. They use the Perspectivity modules learnt from Han Verhoeven and Henk van Apeldoorn in 2013. Our trainers also gave input for the paneldiscussion on involving religious leaders in women’s rights work in New York. This in preparation of a side event for an UN meeting on the war on terror in June. During this event also the role of interfaith dialogue in peace building will be discussed. We try to bring representatives from IFAPP Nigeria and Wajir Kenya to New York.